What is Relay and what is its work? 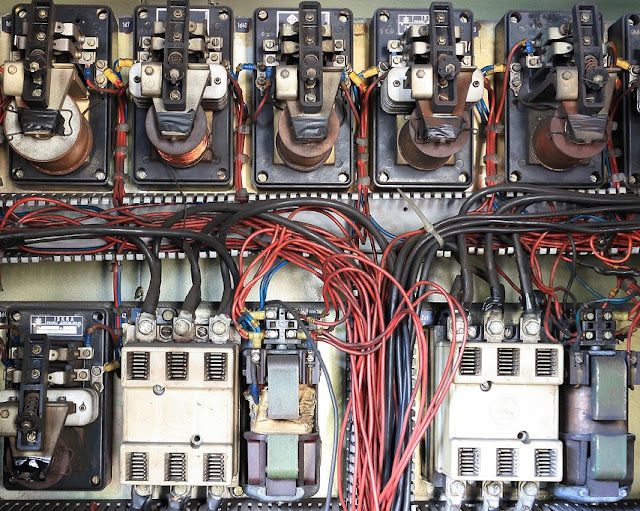 If you are interested in electrical repairing, then you must have seen the use of an electrical relay in many circuits. But do you know what the relay is, the relay works and how many relays are there? To get the full details of the relay in Hindi, read this post in which we are going to give all this information. The relay is an electric switch that automatically gets on when the prescribed Power Supply is available and also automatically discontinues the supply. The way we switch the switch on our house, the bulb of the house gets burnt and when the switch is turned off, the bulb closes again, in the same way, a relay also works as a switch. The only difference between these two is that we manually turn the house switches on / off manually, but the relay automatically makes it work after getting a proper volt supply. 1- Which relay is used in the electrical device? The relay is used in automatic type devices. Good examples of these devices are Stabilizer, UPS, Inverter, etc. These devices without relay have no significance. Because these are all automatic devices and their kits periodically change their connection circuit to do the right thing, which is possible with the help of the relay. Here’s the point of note that we have said that relay is used in almost every automatic device. This means that there may be some automatic device in which it is not used. One of the best examples is electric iron. The change is not used in the automatic part of electric iron. In iron part, some small leaves of iron and mercury are adjusted in such a way that whenever the iron is so hot that it is already set, its coil is disconnected with the main supply itself and Iron stops being hot. 2- How many parts are engaged in the relay and what are their jobs? If you talk about the workable parts except for the design of the A change is not used in the automatic part of electric iron., then there are only 3 parts in any kind of change. They are being explained in detail below. The value of any relay is actually only with its Coil and all the work just coil. The coil is placed in the relay, because of which it is not visible. This coil has 2 connection pin turned out in which the supply is given. As soon as the coil is supplied, there is a magnetic field whereby the relocation of the A change is not used in the automatic part of electric iron. shakes from its place and the change becomes off / on. The relay coil is wrapped on the solid core of the designed iron according to the need. This core protects the change coil from burning and helps in creating a strong magnetic field. When the A change is not used in the automatic part of electric iron. is supplied with proper supply then there is a magnetic shield which pulls the oscillation and pulls it away from which it becomes A change is not used in the automatic part of electric iron. on. In order to turn the change on and off, an oscillation is put in place, which is shaken from its place after the construction of the electric shield, so that the pins of the change switch connect or disconnect between them. 3- How does relay work in a group? The relay works in the following 2 groups. The appropriate value is supplied in the input portion of the change, from which change works. Any change coil which is given out of 2 connection pin is given in the same power supply. In this group comes the name of coil and core. When power is supplied in the change, the oscillation is shaken from which the change is on / off. So whatever components work in this process, they come in a group of a switch of The change. The oscillation comes in the same group because the job of the switch does the same. 4- How many volts are supplied in Relay? We have told that the change works after getting the proper supply, but it is also important to know that how much volts do they have in the proper supply realm? Since different volts of different values are required for different types of work, hence the change of the power supply of different values is made by not creating a change of the power supply of a particular value. If you are preparing your own custom project, then you can purchase volts of the volt according to your need. But if there is the talk of change already engaged in a circuit, then all the details, including the input power of those change, are also written on them themselves. If you have a little bit of experience, then you can identify all changeindividually. However, in most circuits, a 12-volt relay is used which you will find on the same change in clear letters. 5- How many types of relay are there? Keeping the need for different circuits, a change is made in different designing but there is no change in their work. Therefore, we will explain relay on the basis of its text and not on the basis of its work. A relay is made on the following basis. It is made in various ampere based on the maximum of current can be passed from the group having any change switch. Any more of the change passing current will be as bigger and more expensive as it is in the change size. Let’s assume that there are 2 relays of 5 amperes and 10 amperes. So the maximum 5 amperes current can be crossed by 5 change empires. If the current of more than 5 amperes will be crossed by this change then the change will be burnt. But the same can be passed from 10-ampere relay to 10-ampere current. One thing to note is that the 10-amperes change can be used instead of 5-ampere relays, but the 5-ampere change cannot be used at the place of a 10-ampere relay. The way you switch on the switch in your electric board, the bulb burns, and the switch is off, the bulb is extinguished, the same way a one-way change works. There are 4 connection pins in this relay. 2 are for pin power and the rest 2 are for switching work. Let’s say we have a fan and a bulb. We have to turn it on / off by the electric way in the change so that the fan works when the relay is on, but the bulb does not work and the bulb works when it is off, but the fan does not work. So two-way change will be used for this type of work. There are 5 connection pins in this change. 2 pins are for power supply only but the rest are for 3 pin switches, out of which a pin is kept common. In the image below, you can understand the functioning of this change. Suppose you have an ac bulb and a dc bulb, so that they can not be used both on one connection and both will also need different supplies. But you want to switch it through the change in such a way that both bulbs are turned on at once and both are turned off at once. So for this, you will need Two Poles One Way change. These relays can do the work of 2 switches alone in such a way that both switches cannot be touched by one another. This change has 6 pins in which 2 pin is for power and 2-2 pins in the remaining 4 pins are for switching in both poles. Second Example, suppose you have an AC bulb and you want to switch it from the same change in such a way that both the connections (heat and cold) of this bulb can be cut at once, for this purpose This change will also be required. If you want to take two types of work from one change to two-way Relay and Two Poles One Way change, you will need two Poles Two Way Relay. This change has 8 pins, out of which 2 are for pin power and 3 of the remaining 6 pins are a separate pole. And these 3-3 pins in both pole are meant for switching 2 way. Please tell us how you liked our information and if you enjoyed our post and you also want to help us, then please share it on social sites.